Peoples National Bank offers domestic and international wire services. The cutoff time is 3:30 PM CST for incoming and domestic outgoing wire transfers. All wires received after 3:30 PM CST will be processed the following business day. 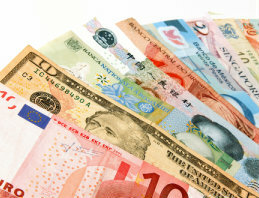 The cutoff time for outgoing wires in foreign currency have variable cutoffs based on currency and country. All incoming wire transfers are received by Peoples National Bank and then verified and credited to the account number based on the wiring instructions. To obtain wire instructions for other foreign currencies, please contact Customer Support at (618) 241-6500 or your local bank representative. If you have any questions regarding these instructions, please notify Peoples National Bank Wire Transfer Department at (618) 241-6500 ext. 6646. SWIFT (Society for Worldwide Interbank Financial Telecommunication) is a member-owned cooperative through which the financial world conducts its business operations with speed, certainty and confidence. More than 8,300 banking organizations, securities institutions and corporate customers in more than 208 countries use SWIFT's technologies to exchange millions of standardized financial messages – including international wire transfers.